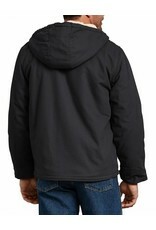 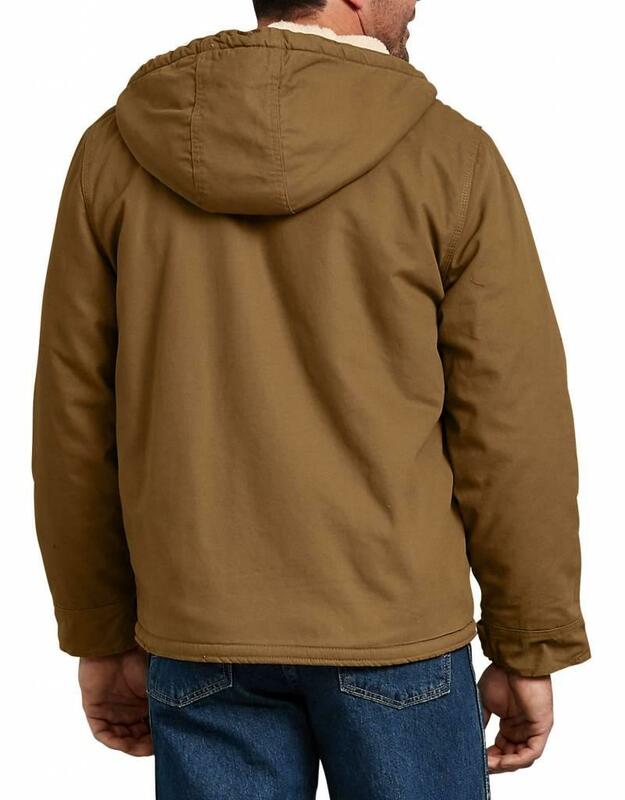 **This hooded jacket is built to keep you warm in the colder months. 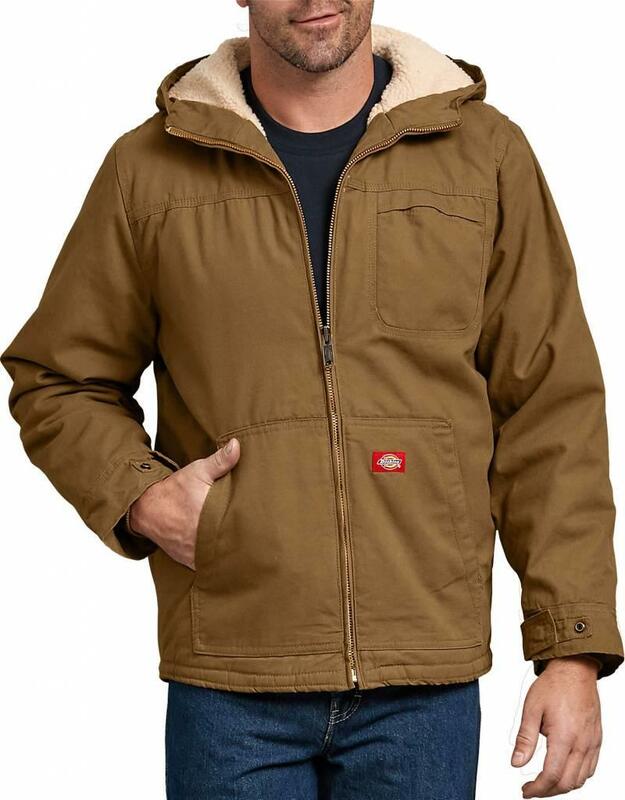 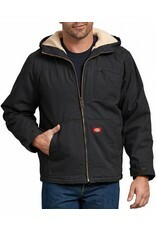 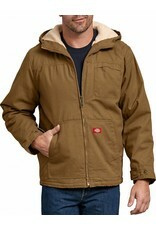 Features adjustable tab cuffs and rib knit storm cuffs, warm sherpa lining, three piece hood, and hand warmer pockets. Triple needle felled seams & durable metal front zipper. 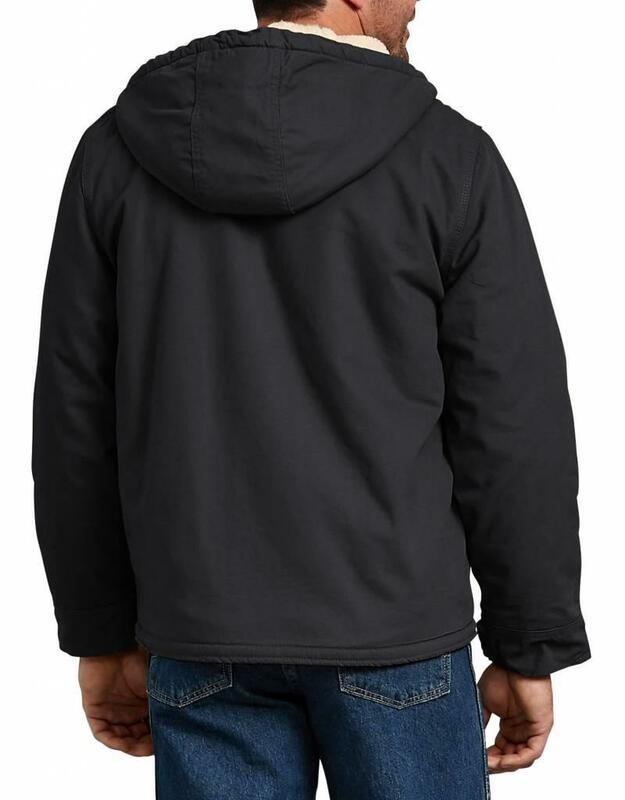 Two inside storage pockets.